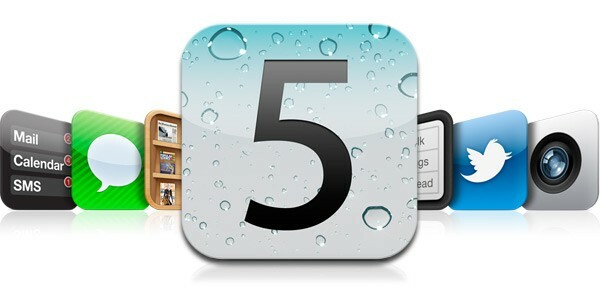 Apple recently release iOS5 for the Apple iPhone 4S, 4, 3GS as well as iPad 1,2 and third/forth generation iPods. 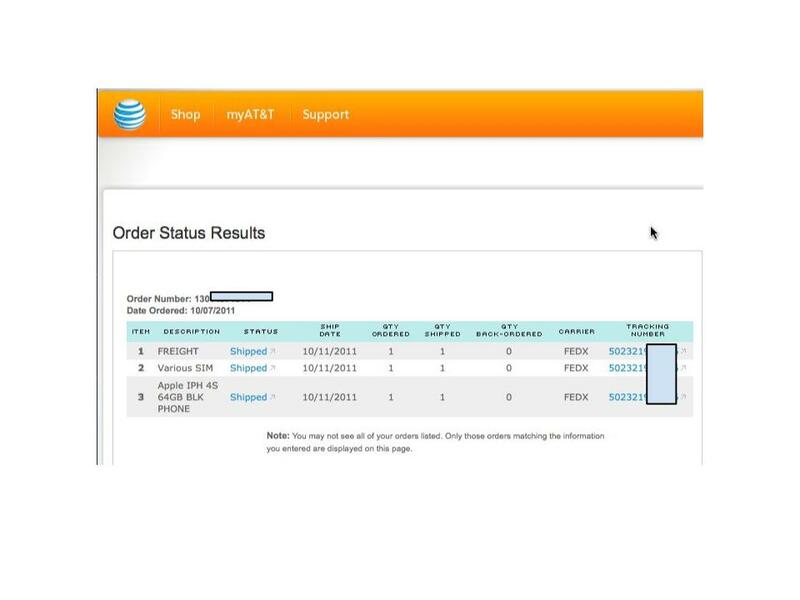 This software adds over 200 new features to the device like improved notifications and Siri on the iPhone 4S, but breaks compatibility for users tethering to routers. Before the mobile hotspot craze, the Nexaira BC2 was the only option to connect your iPhone to share connectivity with multiple users. When Apple released an update that allowed the mobile hotspot feature, Cradlepoint's WiFi as WAN feature became a popular choice for people looking for failover or a simple backup. However, as of iOS 5 neither the Nexaira BC2 or ANY Cradlepoint NetBSD routers will work tethered or by WiFi. The article will give you step by step instructions on how to properly configure your router for either Dynamic DNS or by using a Static IP. 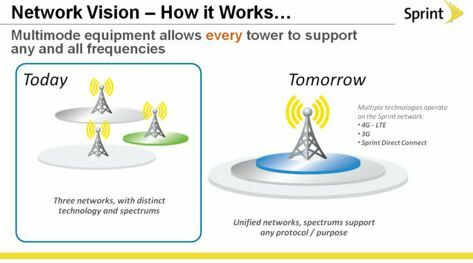 Earlier this month we published our initial test results between the Wilson 700Mhz LTE amplifier and Cellphone-Mate 700Mhz Surecall amplifier. For all of our testing we used the products in the same test location, and the only difference was the amplifier that was used. In the video above you can see our official shootout of the two LTE amplifiers, and the performance they both deliver as well as the baseline performance. 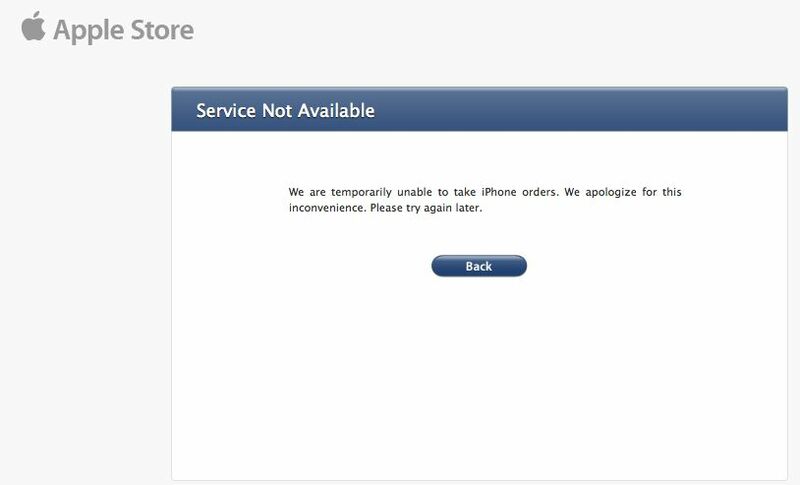 The iPhone 4S set a new activation and sales record for Sprint, but customers have been reporting on Sprint forums poor speeds on their network. According to thenextweb an internal email has been sent to Sprint representatives indicating Apple and Sprint are working together on a "confirmed nationwide issue" to resolve the slow speeds users are reporting. In our "Can I Play the PS3/360/Wii over 3G/4G" article we showed exactly how playable these games actually are, but have found some users having difficulty with proper router configurations. We now have a custom tip sheet exclusively for Xbox 360 gamers out there! Until now there's only been a PS3 version, but with a lot of requests you can now follow our step by step guide on properly configuring your Xbox 360. 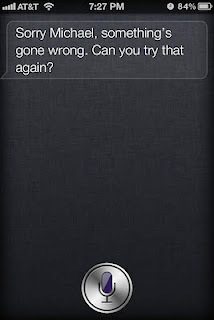 "Sorry, something's gone wrong. Can you try that again?" "Sorry, I'm having trouble connecting to the network"
Peplink Raising Prices on High-End Balance Routers on 11/1, Order Now to Save! On November 1st, Peplink will be raising their prices on all of the higher-end models of their popular Balance series of routers. These routers have become very popular with business and enterprise users, thanks to their load balancing support, incredible failover functionality, and unique features like bandwidth monitoring. The Balance 210, Balance 310, Balance 380, Balance 580, Balance 710, and Balance 1350 will all be seeing price increases of $100 to $1,000. If you've been considering a Balance router, now is the time to purchase one! AT&T had around 25 people in line. 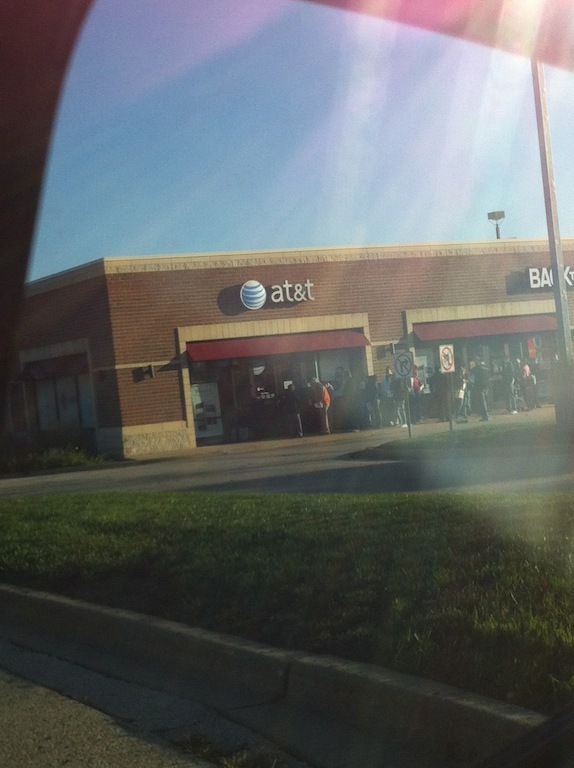 Verizon had nobody in line and nobody in store. 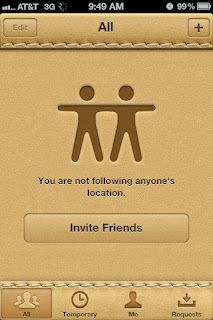 Apple just released "Find My Friends " which allows those running iOS 5 and iCloud tobe able to share your location with one another. A few years ago, there was a stress test of BlackBerry Messenger and it allows 10,000 before finally failing. We are curious about the maximum number of friends that you can add to Find My Friends, so let the stress test begin. 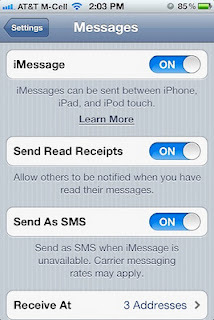 Apple today officially released iOS5 for iPhone, iPad and iPod Touch and this update contains new functionality for text messaging called iMessage. Previously, when you would send a text message, you would go through the carrrier (AT&T, Sprint or Verizon) and they would charge you for each message, unless you paid for unlimited text messaging. Once you enable iMessage, you are no longer going through the carrier to send a text, you are going through Apple - who doesn't charge you. This can be very disruptive as the carriers make a lot of money on consumers sending text messages. 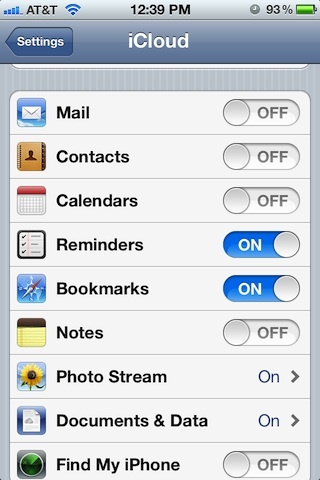 Don't cancel your text plan just yet, in order to use iMessage, all the people that you text will need to upgrade to iOS5 and they will need to enable iMessage (as seen in the screenshot above). If you send texts to people NOT using iPhones, you will still need your carrier's text plan. It is very unlikely that Apple will be coming out with an iMessage for Android. Some of the cool features with iMessage is the ability to see when the person received the sent message and when they read it as well. 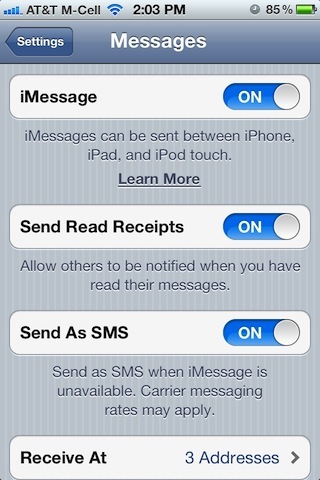 If you disable iMessage, all your text messages will be sent like they were previously. iCloud is a pretty cool idea. I am sure that Apple has some grand plans for it more then just document/data/music/photo syncing (think TV and Movie streaming on iCloud and being able to watch anything whenever you want to). Where iCloud is most useful is on mobile devices like the iPhone, iPad and iPod Touch. Imagine being able to take a picture and have it instantly on your computer in the office or home. One concern is how much will this always connected cloud take on your existing battery life. 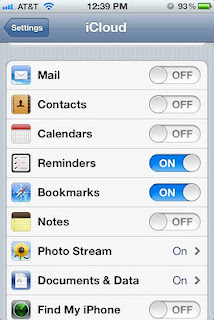 During beta testing of iOS5, it was noticed that the battery life was reduced when iCloud was enabled and used, which makes sense. But, will it be worth it? It will be very interesting to hear from people that enable iCloud and how that impacts their battery life. 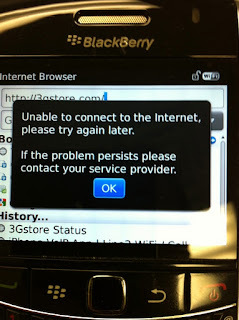 BlackBerry users in Europe, the Middle East, Africa and India continued to suffer internet outages for a second day. Impacted is the ability to use BBM (BlackBerry Messenger), Email, Internet or any other app that requires an internet connection, including FaceBook, Twitter and App World. iTunes 10.5 also includes iTunes Match, Apple's new $24.99 per year service that allows users to match up their personal iTunes library of songs with Apple's high quality tracks and available via iCloud. 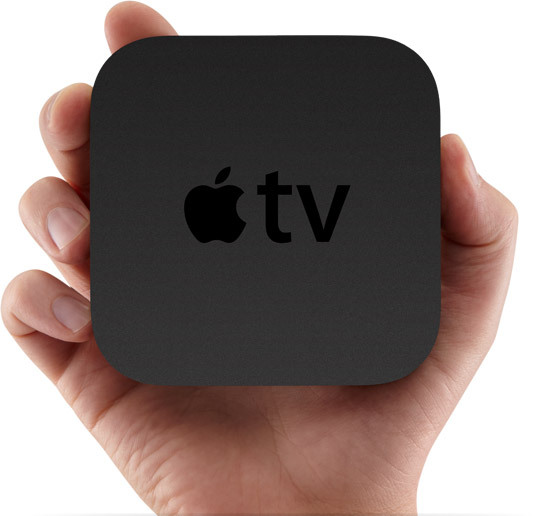 Not sure how many people rent and purchase movies on their Apple TV - but I do. Usually I rent movies from Apple. Some of the movies I will never watch again and I was glad that I only rented them. Some of the movies are really good and I wish I had purchased them. Here is an idea for Apple, at the end of a rental, give me the option of turning my rental into a purchase. There would be nothing new to download, just charge me the cost difference between the rental fee and the purchase fee. Seems like a great idea for both the consumer and Apple/movie studios. BlackBerry users in Europe, the Middle East, Africa and India suffered email outages on Monday. 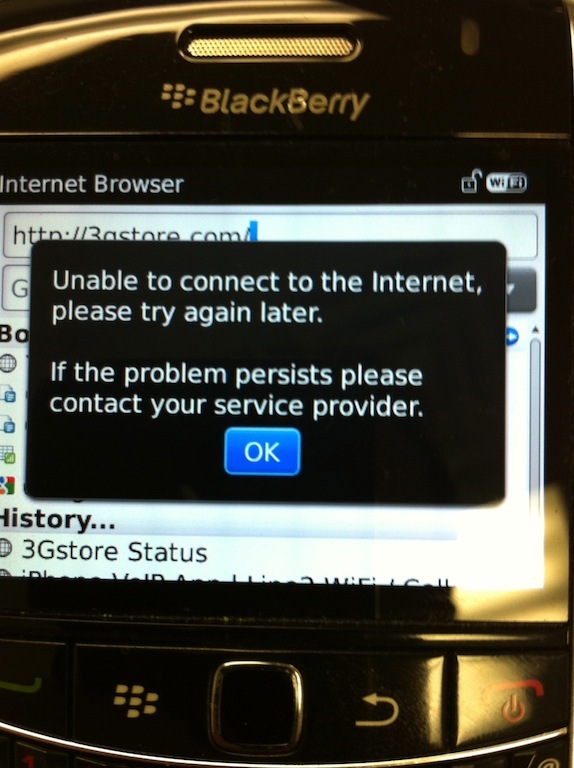 Email, BlackBerry Messenger and all internet applications have suffered an outage. RIM is saying the following, "We are investigating, and we apologize to our customers for any inconvenience caused whilst this is resolved," RIM said, declining to provide further detail." Pepwave has a free management service called InControl found on the Pepwave AP One, Pepwave Mesh Connector 400 and Pepwave Polepoint series. This gives you the ability to manage all system tasks like router configurations, full device reporting and direct customer communication through a single interface. This allows you to maintain complete control over the network environment without the need to be on hand to manage the devices. Below you'll find a video demonstration showing how these tools can work for you. 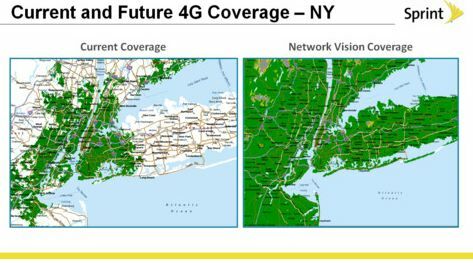 Sprint announced today that they are deploying the latest LTE technology across the country. By end of 2012, there will be 176 million POPs and by end of 2013, there will be 250 million POPs and when completed, around 277 million POPs. 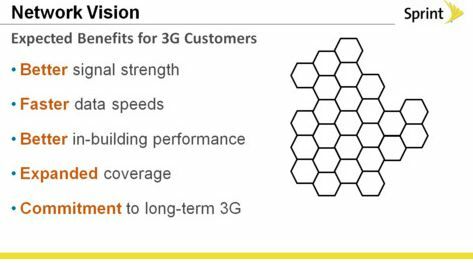 Sprint has announced today when as they combine their 3 networks into one over the next 2 years, one of the added benefits will be that 3G data users will gain better signal and speeds along with better in-building performance and expanded coverage! 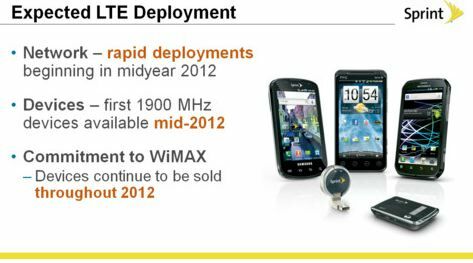 Sprint announced today, they are taking their current network which consists of 3 separate networks (IDEN, CDMA, WiMAX) and converting into one network which they will start deploying in 2012 an be completed by end of 2013. 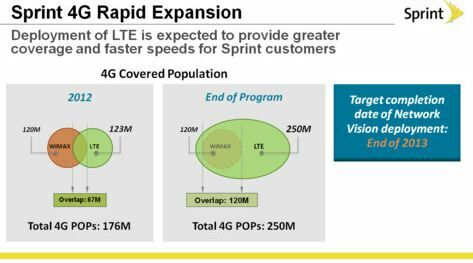 Sprint has announced today that they are going to be switching to LTE technology by Partnering with LightSquared. They have announced that they will continue to sell WiMAX devices through 2012. They expect LTE to start deploying in 2012 and be completed in 2013. 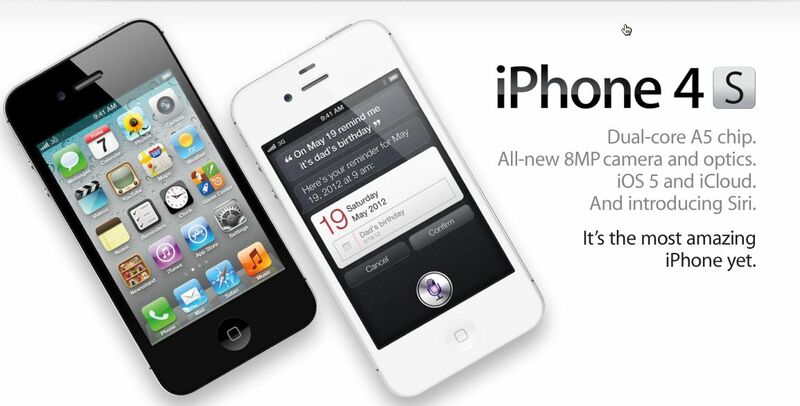 Sprint announces that the iPhone 4S will be available on October 14th with Unlimited Data. Verizon and AT&T will be selling the iPhone 4S, but without unlimited data. 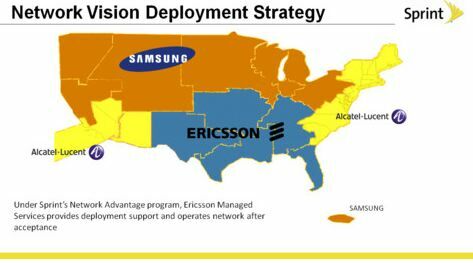 This could be a big deal for Sprint. 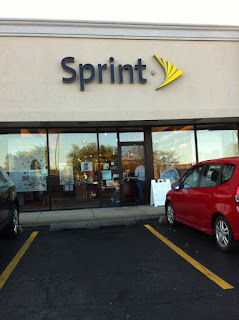 Time will tell if the Sprint network can handle the iPhone traffic that will be coming to Sprint in the coming weeks and months. Want to be notified when the iPhone 4S is available? I never met Steve Jobs - but I did come close. 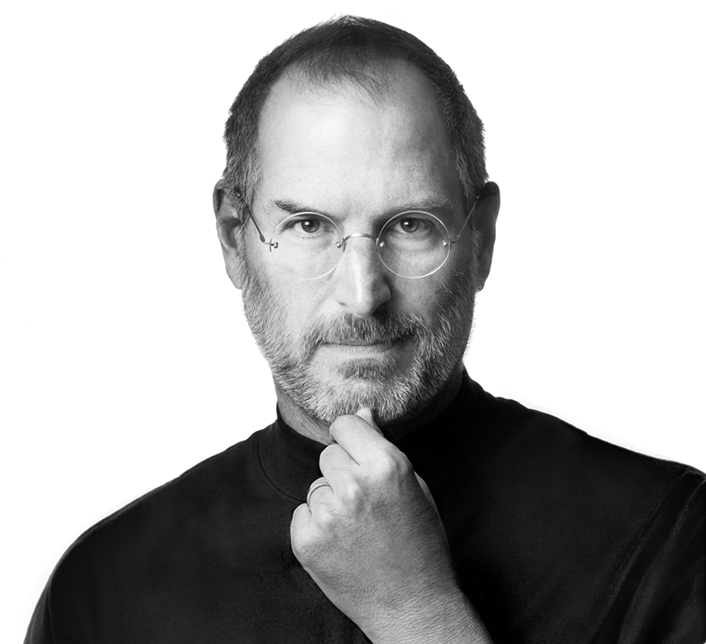 Here is my Steve Jobs story or how this person has impacted me today. In 1978, my best friend Mitch got this new computer called a Commodore PET. I was 15 years old and fell in love with this new gadget. I knew I had to have one. We didn’t have a lot of money, but I lied my way into getting a job at Kentucky Fried Chicken (was suppose to be 16 to work) and after I cashed my 2nd paycheck, I had enough money. My mom drove me to the local computer store and I purchased one. Around four years later, I was living in California and saved up enough money to purchase the latest and greatest, an Apple II computer. While living in California, I wrote a few articles for COMPUTE magazine. I was now twenty years old and I really wanted to work for Apple. A friend of my grandmother worked at a company called MicroPro and they had this little word processor called WordStar. He knew that I liked Apple and was into computers and invited me to spend the week with him to see how a software company worked. While spending the week, he showed me the labs where they had future Apple stuff and told me that he had worked at Apple for a few years before working at Microprose. 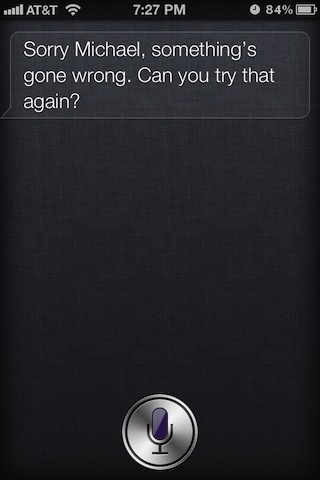 I told him that I really wanted to work at Apple. He told me that Steve Jobs would walk the halls around a certain time and that on my way home, I should stop in Cupertino, bump into Steve Jobs and introduce myself. I drove to Cupertino, stopped in the parking lot but never built enough courage to leave the car. Returning back home (Solvang, California), I had gained a lot of experience with word processors running on Apple computers and I applied for a volunteer position at C.A.L.L Apple Magazine as a word processor expert. Basically, people from all over the world would call and ask questions to an expert when they got stuck. I was accepted and then I wrote letters to every word processing company asking them for a free copy of their software so I could provide support. Most companies sent me free software - with all the packages I got, it was like christmas time for a month. A local computer store named “The Computer Terminal” of Buellton, California happened to be looking through the CALL Apple magazine and noticed that they had an expert living in the area and invited me to come speak at their local Apple user group. I brought all my word processing software to demonstrate and it was a big hit and got invited back to do it again. During my second visit, the same day, the salesperson of The Computer Terminal (the only one they had) quit and I happened to walk in immediately after and the owner offered me a job. I explained I was not a salesman, but I knew Apples and software. I started in October 1983 and during the last two months, the owner and I broke sales records. We sold $400K worth of Apple computers in 60 days. During the first week of January 1984 the owner called me over and showed me a picture of a new computer coming out in a few weeks. It was the first picture of the Apple Macintosh. I looked at it and said, “That looks strange, it will never sell”. Apple had a training program to help Apple dealers learn about the Macintosh and they also had a unique program called the “Own a Mac Program”. Basically, you can purchase a 128K Mac for $749 ($2999 was retail) and an Imagewriter printer for $249 and you got a free carrying case and other software. It was a great deal and I immediately got one. I continued to become the local Apple and Mac expert and sold a ton of these things. I made so much money, that I finally had enough to move back to Chicago - my hometown. In May 1984, I moved back to Chicago and accepted a job at CompuShop. On the day I started, they made a corporate decision to drop Apple. I was devastated, but I continued working there. After 6 months I needed to be connected to Apple, so I moved on to a Dealer that sold Apple. After 4 years of working at the other dealer, I was getting bored and wanted to get back to “working at Apple”. I was nearing my 25th birthday and I gave myself a deadline, by the time I turned 25, I either wanted to work for Apple or start my own company. I created a HyperCard/multimedia resume and sent it to people I knew at Apple. The Apple Rep told me that I needed to get permission from the owner of the Apple dealer where I worked to interview. That wasn’t going to happen, so I started my own company in 1988. I did Mac consulting and programming. Created some commercial software. The first one was called NetUpdater - which was a HyperCard based program that allowed network administrators to update a network of computers from one computer. This program got some attention with Apple and I even had contact with Jean-Louis Gassee and a meeting to show him NetUpdater. The next project was something called Web Server 4D and WS4D/eCommerce, these were 4th Dimension created web servers and ecommerce servers that I released around 1994. At first, they only ran on Macs and allowed developers to setup ecommerce servers on the internet. 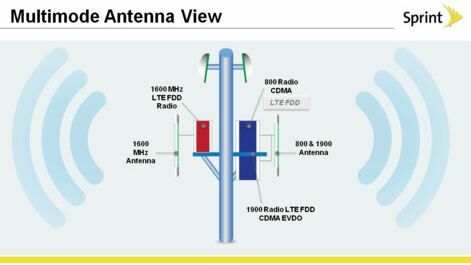 In 2005, I changed the directions of my company and focused on this new mobile broadband (EVDO) that was just starting up with Verizon. 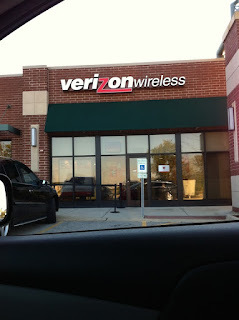 The problem, is that Verizon didn’t support Macs. I figured out a way to make these data cards work with Macs and started getting a lot of attention (and customers) We did fun things like iChat at 60MPH. 3Gstore.com continues on today. I have always had a soft spot in my heart for Apple. I have owned every Mac since 1984 and also iPad and iPhone and even Newton. I have never missed an Apple keynote, been to a bunch of MacWorld presentations. Once bumped into John Sculley and almost knocked him down. While I almost worked at Apple in the early days - I remained connected to Apple and to Steve Jobs over the years. I am 100% confident that his legacy will live on and his story will continue to inspire people for generations to come. Steve, the world will miss you! Apple confirmed today that the latest iteration of the always-popular iPhone, the iPhone 4S, will be coming to Sprint this month. The iPhone 4S will include all the features iPhone users love, with an upgraded A5 processor (the same processor used by the iPad), longer battery life, the iOS 5 operating system, and an 8 megapixel camera.